The Houston Texans are struggling to protect Deshaun Watson and fell into an early 7-0 hole against the Indianapolis Colts on Sunday. But thanks to a truly awful snap by Colts center Ryan Kelly, they are now on the board. Kelly may have forgotten the formation, or he might have just failed hard here. Regardless of the reason, his snap to Andrew Luck was dead upon arrival. 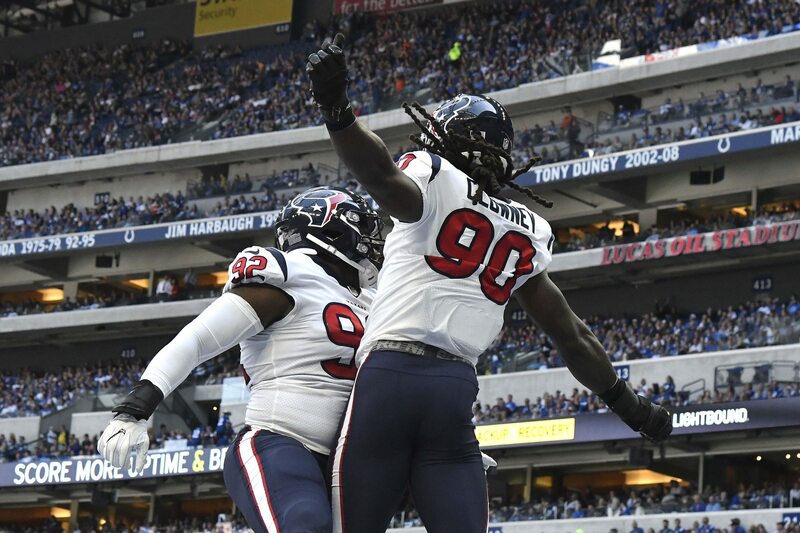 Instead of landing in Luck’s hands, it simply fell to the ground, and after a scrum Jadeveon Clowney came away with the ball in the end zone for a touchdown. This score tied the game up 7-7 in the first quarter.